I had some awesome ladies email me some entries for our sketch challenge! YAY!!!! how awesome is that?? 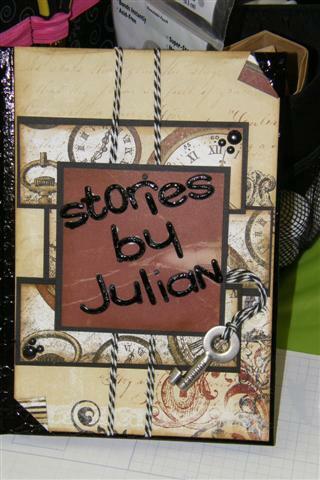 First up, Marianne made this wonderful book cover using the sketch. 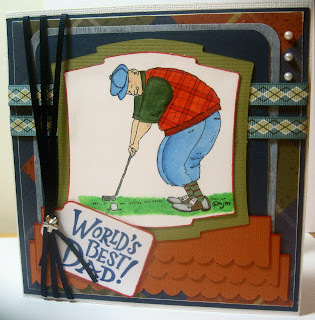 I just LOVE those Timepiece papers she's used! I so need to make myself an art journal!!! Thanks for the inspiration Marianne. OH those ladies did such a great job!! Yay for email entries! Took me a little too long to figure out they used different sketches, though LOL- both turned out great! Those are great entries ladies!! Thanks for playing! !